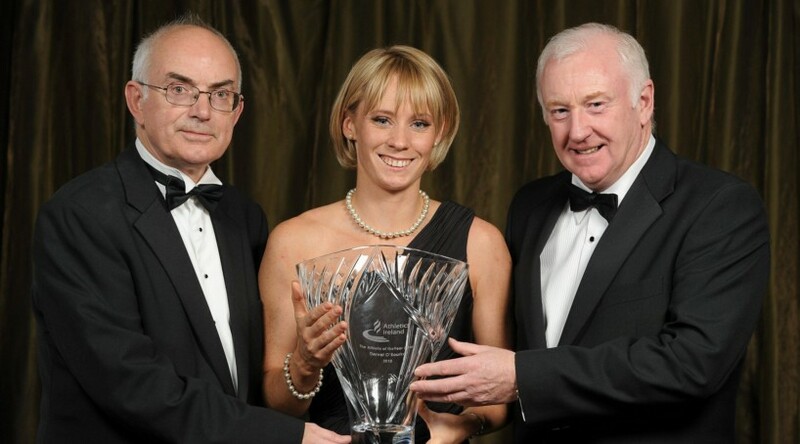 In 2010 Derval O’Rourke added to her medal haul when winning the silver medal in the 100 Hurdles at the European Athletics Championships. On that evening in Barcelona O’Rourke showed another example of her unyielding competitiveness and fighting spirit to her medal in a new Irish record of 12.65 seconds, when finishing second. O’Rourke beat off some highly creditable opposition to win the highly prestigious award ahead of the other excellent nominees; European 400m finalist and Irish record holder David Gillick, 200m finalist, Paul Hession, and Ailis McSweeney, the Cork sprinter who set a new Irish women’s 100m record in 2010.